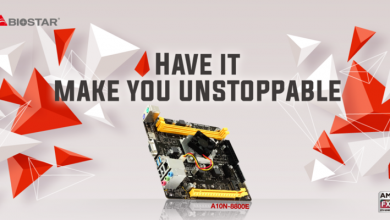 Mainboard manufacturer BIOSTAR is known for their value-oriented and bang-for-buck offerings but with the rapid growth of the PC gaming segment, it sounds like a good time to branch out. 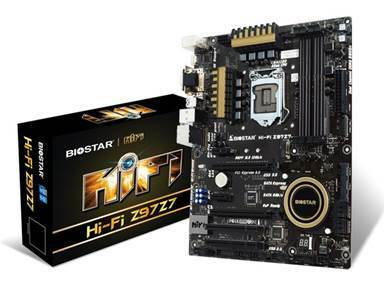 Launching their new Hi-Fi Z97Z7 motherboard, BIOSTAR is tapping on this growing demand and possibly introducing more models down the road that sport the new look and feature set. 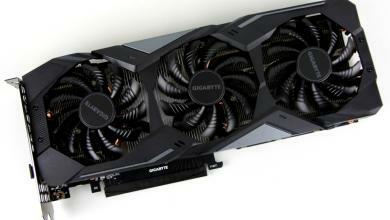 The BIOSTAR Hi-Fi Z97z7 is a lot less colorful than previous models with black slots, connectors and capacitors but the new black and gold heatsink design looks awfully familiar. Surprisingly, this “high-end” mainboard comes in at a very affordable at $119.99 USD, so this is probably BIOSTAR’s entry level model for this series. 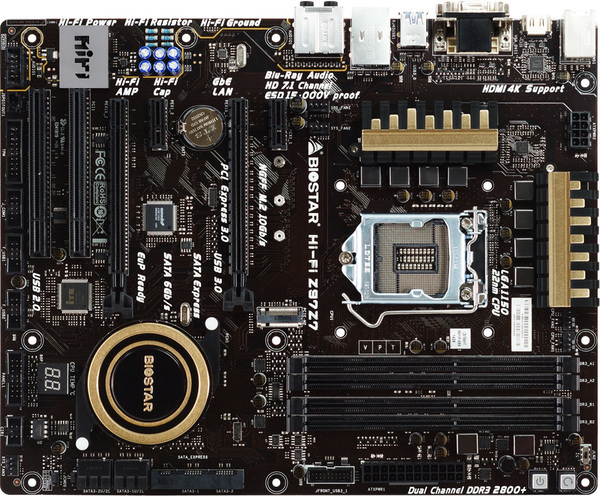 It does not have SLI support (not expected at this price range) and only has one PCI-E 3.0 slot but it does sport an SATA-Express port unlike the BIOSTAR Z97WE motherboard we previously reviewed. I am not going to talk about the power delivery as reviewers always look ridiculous whenever providing this information without seeing what is under the hood so those interested will just have to stay tuned, although if an assumption must be made, it is probably the same as the Z97WE considering the price. It will be interesting to see what else comes out from this product line down the road, and the new look is a welcome change although I still miss the familiar Biostar red look. Full press release is available below. 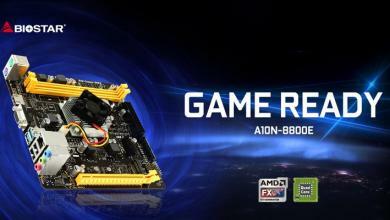 September 22nd , 2014 Taipei, Taiwan – BIOSTAR has launched the first development of what might become a possible series of high-end gaming boards, the Hi-Fi Z97Z7 motherboard, a board with cutting-edge features and innovative durability enhancements. 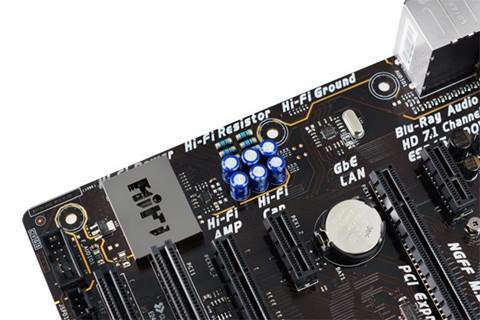 The Hi-Fi Z97Z7, based on the Intel Z97 chipset, comes with key features such as a PCI Express 3.0×16 slot, PCIe M.2 support, and BIOSTAR exclusive Super Hi-Fi Audio technology. 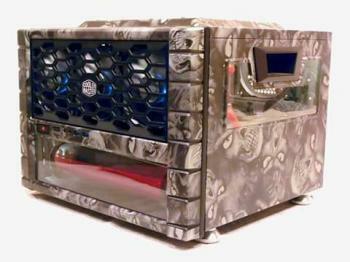 BIOSTAR, a manufacturer dedicates in motherboards, graphics cards and industrial computing systems. 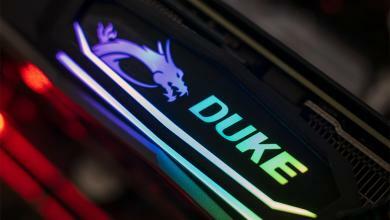 Since its establishment in 1986, the BIOSTAR GROUP has become a major motherboard supplier in the PC industry. In order to pursue continuous growth, BIOSTAR has invested heavily in acquiring the physical and human resources to excel at research and development. 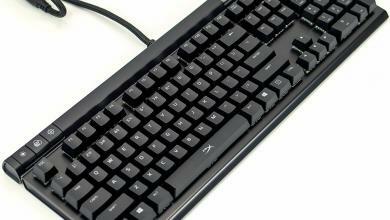 With a constant emphasis on quality, BIOSTAR always seeks to offer products with the highest price-performance ratio.